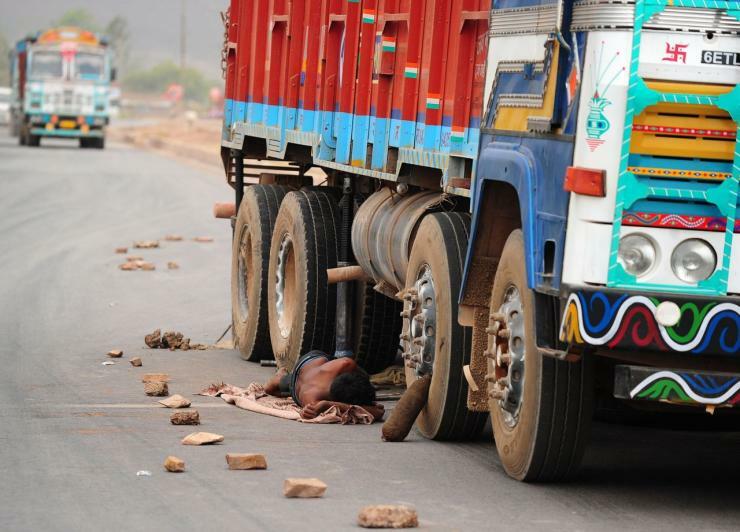 Here are five more dangers on the Indian highways. 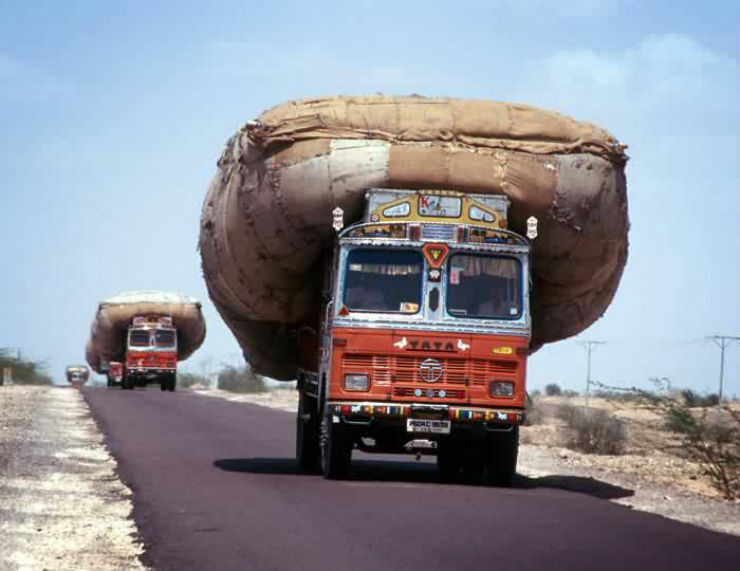 Overloaded vehicles, especially trucks are ticking time bombs on the road. With the extra weight, such vehicles have less stopping power because of the greater momentum. Always stay away from heavy vehicles on the road. Even cars with an extra number of passengers can be dangerous. Extra passengers make the car unstable and block the view of the rear view mirror too. You should never brake hard in front of such vehicles. The reduced stopping power may force them to run into your car. Also, overweight vehicle poses a great threat of turning over due to disproportionate weight. Many heavy vehicles stop on the highway to repair a breakdown or a puncture. Such vehicles either put a branch from a tree or put huge stones around the vehicle. Many of them keep tyres and work on their vehicles. Such stones are often not cleared and can cause major accidents. 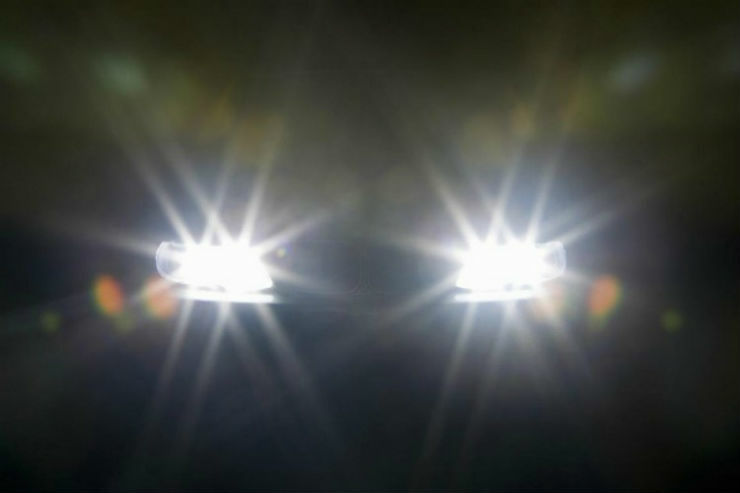 Even a tree branch on a vehicle is not visible from a distance and can confuse the other vehicles on the road. Other vehicles can hit the tyres kept by people on the road which can cause a major accident. Stay away from such vehicles parked on the shoulder of the highway. Slow down and take the other lane when you spot such vehicles. 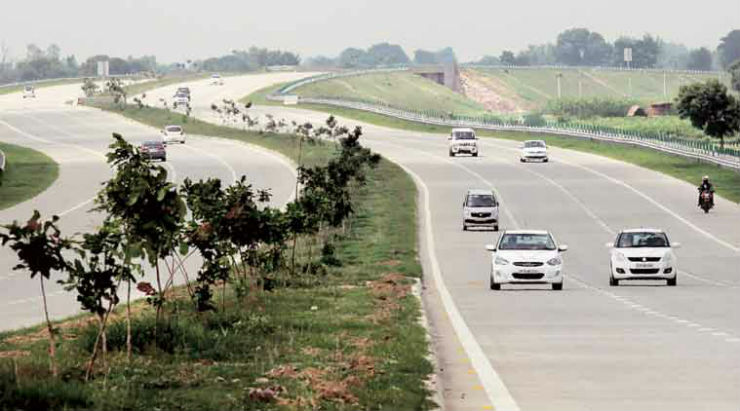 Many highways passing through cities and villages come up with speed breakers to keep the vehicles in check. 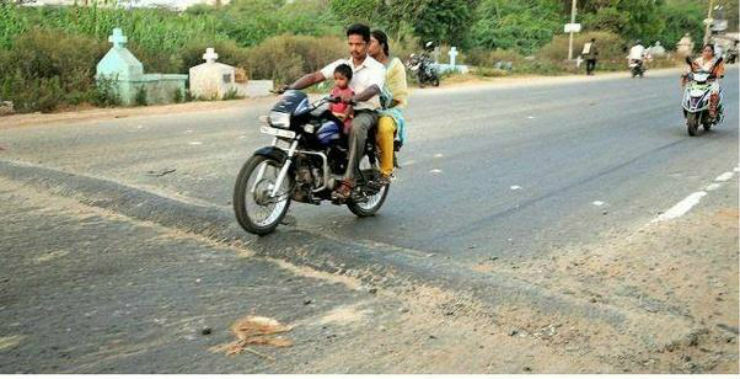 Such speed breakers are built by the locals and do not comply with the standard rules laid by the government. Such speed breakers are often too high or too big and are mostly unmarked and can cause big accidents. Vehicles travelling at high speed hit such speed breakers unknowingly that makes the vehicle out of control. Always maintain speed limit on the highways, especially while going through villages and cities to avoid hitting at such speed breakers at high speed. You will meet many vehicles on the Indian highways that will tailgate you for no reason. Such vehicles can cause an accident when you have to brake suddenly or change lane. Tailgaters do not keep a safe distance and can crash if you brake in an emergency situation. Such vehicles do not get time to react quickly and can crash into your car causing severe life threatening injuries. Avoid such tailgaters at any cost and let them pass you to be safe on the road.